Home Disney TipsDisney Social Media Moms Celebration	Disney Social Media Moms Celebration: Here we come! 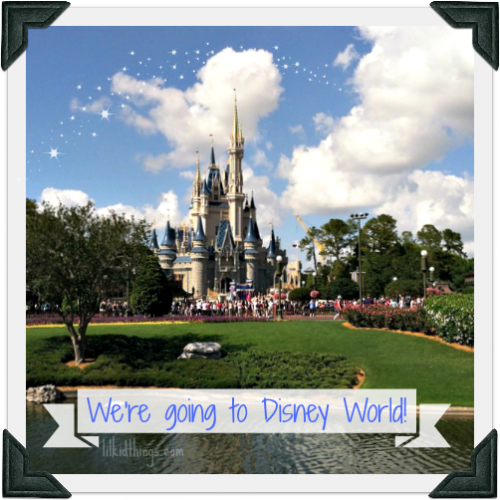 I can’t believe it, but it’s finally time to hop in the van and head south for the 2013 Disney Social Media Moms Celebration! I am beyond honored to have been invited back and I can’t wait to see what they have in store for us all! This year, the fabulous social media team behind the conference has been showering us with clues about the weekend. It has been so fun to try and figure it all out but so much is left as a surprise, I have no doubt we are in for a fabulous Mother’s Day weekend! I am also excited because we will be staying for a few extra days and really turning this trip into a family vacation! The boys are at such great ages for Disney that I am beyond giddy thinking about how fun it will be. Still, we have lots of rest time planned so no one loses their mind (hopefully). Get a caricature of Calvin in the Magic Kingdom – Oscar was just a few months younger than Calvin on his first trip and we had him drawn then. I love the idea of having a drawing for each child at roughly the same age! Go to Once Upon a Toy in Downtown Disney for Mr. Potato Head parts – In a word “obsessed”. Eat a Mickey Waffle – In my lifetime of visits to Disney World, I have NEVER had a Mickey waffle! The madness stops with this trip. Walk from my hotel to the Magic Kingdom – this will be my first time staying at The Contemporary Hotel, where you can literally walk to the Magic Kingdom! How seriously cool is that? Fireworks! Lots and lots of fireworks. See old friends and make new ones – I can’t wait to connect with some childhood friends from my hometown (Clearwater, FL) and catch up with old and new social media friends! Pick my jaw up off the floor after being wowed yet again by the amazing DSMM Conference team! I hope you will follow along on Twitter #DisneySMMoms where we will all be tweeting and instagramming (is that a word?) like crazy. I may even pop in here once or twice if I have a chance! Have a blast! And safe travels! Have fun you guys, can’t wait to see pictures. Ahh One more fab Disney Mom I didn’t get to meet?? Hope you had a wonderful time! Hope our paths cross soon! So sad to have missed you! It seemed like I missed so many people. It was such an amazing weekend.